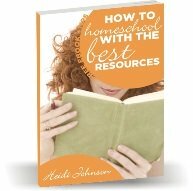 Finding discount homeschool curriculum isn't as hard as some people might think as long as you keep your eyes open. 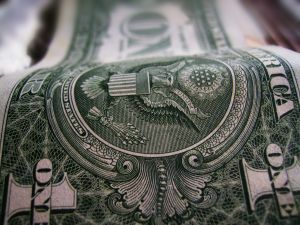 If you go to garage sales, thrift stores,homeschool conventions, discount department stores and the Internet, you should be able to find some interesting bargains. Clearance Shelves or Boxes - Always check the clearance areas when you attend a homeschool convention or discount department store. You may find things that you hadn't even thought of for homeschooling like art or music kits. You can always find interesting types of paper that have been discontinued. What homeschooler can't use paper in some way? Supplemental Workbooks - Many stores and parents purchase extra workbooks and then find that children don't want or need them. Some parents buy extra books for younger children and then decide not to use that curriculum when the younger children grow. If you get enough supplemental books, you might not even have to purchase materials for that subject. Used Books and Textbooks - Some homeschoolers donate their used homeschool books to thrift stores hoping that someone else can use them. Others purchase homeschool curriculum and then decide not to homeschool and don't want to bother figuring out how to sell what they purchased. Homeschool Conventions or Used Homeschool Book Sales - Many booths at conventions have a small box of material that they want to sell off because they didn't see enough of a demand to sell that item. Other times they get samples from companies and they sell off their sample copies. I love used book fairs. I have found some incredible deals especially on good chapter books. Many books are non-consumable and people just want to use it and then get some of their money back. Ebay has a large variety of discount homeschool curriculum for sale but they tend to be a little higher than some other sites. I have found things at garage sales and thrift stores like a wooden covered wagon that needed to be put together that was just .50! I've also found completely unused math workbooks that I have been able to use for a whole year. Library - I can't stress the need for using your local library enough. So many libraries now have online book requests and notifications. If I think I want to purchase a homeschool book, I order it from the library first if possible. That way I get to use it for a few weeks and find out if I really want to purchase it or not. Keep looking around. You CAN find the homeschool books you need for less! Sometimes you have to trade some of your time for money, so keep digging and looking and using your resources.